When Smart Communications officially announced a few days ago that the new iPhone 7 and iPhone 7 Plus are coming to their network, the company promised that the full details on postpaid offering would be released soon. A couple of days after since that initial announcement, they unveiled the smartphones will be offered with no cashout fee on Plan 2499 and Plan 2999. Today, more information on this offering was unleashed. On the iPhone 7 webpage from Smart site, the postpaid plans start at Plan 599 and go as high as Plan 2999 for the two Apple flagships. All plans come with unlimited texts to all networks as well as data allocation starting at 2GB and all-net calls of 30 minutes per month. Of course the said iOS devices will also be offered under All-in Plans beginning at Plan 500 which are fully consumable and customizable. See screenshot below for more details. Aside from Plan 2499 for iPhone 7 and Plan 2999 for the bigger iPhone 7 Plus, the rest of the postpaid plans will be available with cashout fees. Below is the full matrix released by Smart on their website to give subscribers a much clearer information on the official pricing. 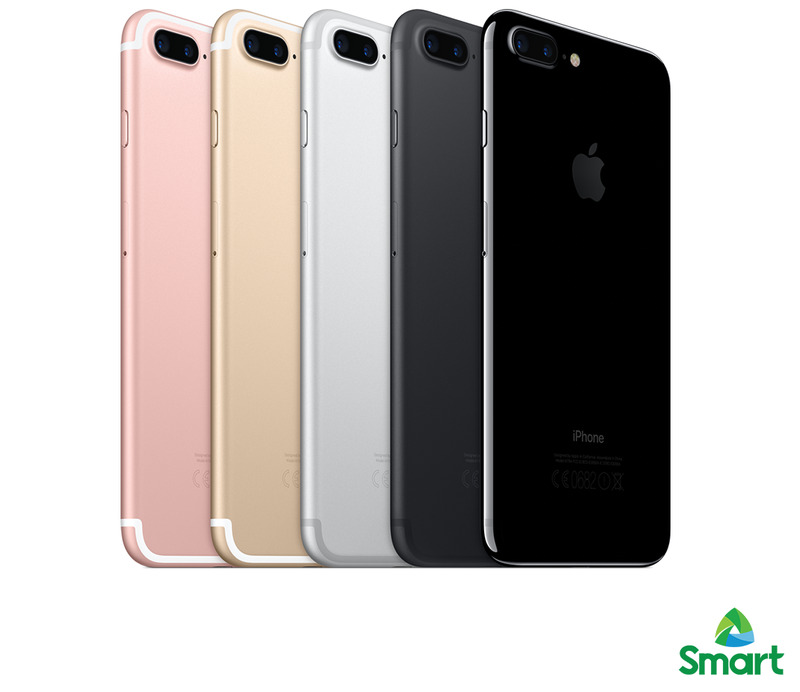 The iPhone 7 and iPhone 7 Plus will be officially launched by Smart locally on November 11. And as of today, the telco giant is still accepting pre-orders from all the interested users who would like to get it from Smart.